Does Your Company Encourage Binge Working? NBC recently reported on the tragic case of Mita Diran, the 24 year old copywriter who dropped dead toward the end of a debilitating 30-hour straight shift, just prior to Christmas shut-down. They also highlighted two other cases in the same year of employees dropping dead after similar cases of overworking, which is now being termed “binge working.” The first was Li Yuan from Olgivy and Mather in China and the second was Moritz Erhardt, another ad writer from Bank of America’s Merrill Lynch office in London. Now, these are extreme cases but they are real, and they do at least highlight the perils of binge working. Even though most people may not suffer such extreme reactions to binge working, medical evidence shows that binge working has drastic health consequences. According to research published in the American Journal of Epidemiology, these health complaints include increased rates of heart disease, diabetes, fatigue and depression and they also found that sustained binge working correlated with reduced cognitive functioning in middle age and later life dementia. With us now living in an increasingly health and lifestyle conscious world, it seems that many employers are behind the times with 56 percent of UK employees working over 40 hours a week, and the U.S. average workweek being 46 hours according, to research presented in this infographic by Online MBA. So, the odds are that unless your company has a detailed work-life balance management system, binge working is likely to be occurring in your business – and you need to do something about it today because it’s not only slowly killing your staff, it’s killing your profits as productivity decreases by half after 8 hours work. 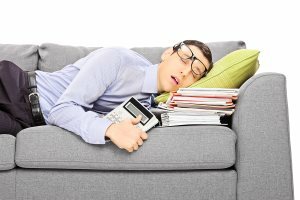 In fact, it’s likely that your business could be encouraging binge working (knowingly or unknowingly) by creating a top down culture of working long hours where employees feel that the only way that they can be recognized and get ahead is by pulling all nighters and burning the candle at both ends. If success is characterized by ‘presenteeism‘ and not results and if objectives are not realistically attainable within a 40-hour week, you will be encouraging a binge working culture. So, what steps can you take to discourage binge working? 1. Lead from the top. Senior executives need to set an example by communicating the importance of leaving work on time regularly, not doing year-round overtime, not working through lunch, and taking vacation allowance—and actually be seen doing the above themselves. 2. Start tracking overtime hours. Do this to understand the extent of the binge working problem. Investigate areas of concern and introduce remedies such as hiring more staff, more efficient working practices, etc. 3. Discourage lunch time working. How often do employees work through lunch or cut lunch breaks short? Encourage employees to take lunch and eat healthily. It’s actually the bad diet that comes as a result of binge working, which was responsible for many of the health issues. 4. Check objectives are attainable. Honestly review objectives and assure that they are attainable within a 40-hour working week for a competent employee. 5. Be open to promoting part-time workers and job sharers. If you’re not open to this, you give the impression that shorter working employees are second class citizens, further encouraging long working hours. 6. Allow flexible working or telecommuting. Flexible working conditions are especially if employees work in different time zones or face a long commute, to ease the pressure on working longer hours. 7. Encourage employees to work smarter rather than harder. Do this by rewarding employees who come up with new, more efficient ways of working. Good luck with creating a healthy working culture!